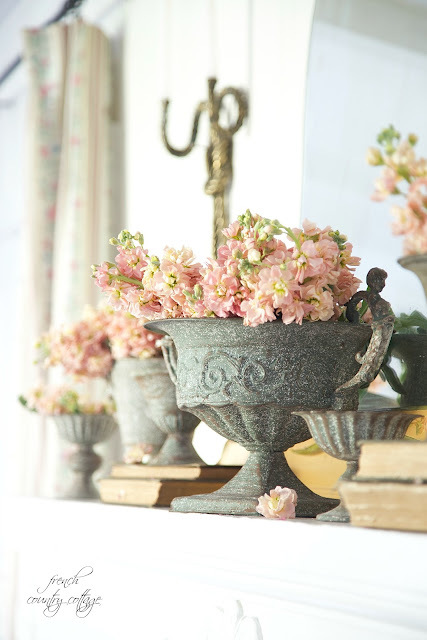 It is no secret that I am in love with vintage and vintage inspired trophies and urns. 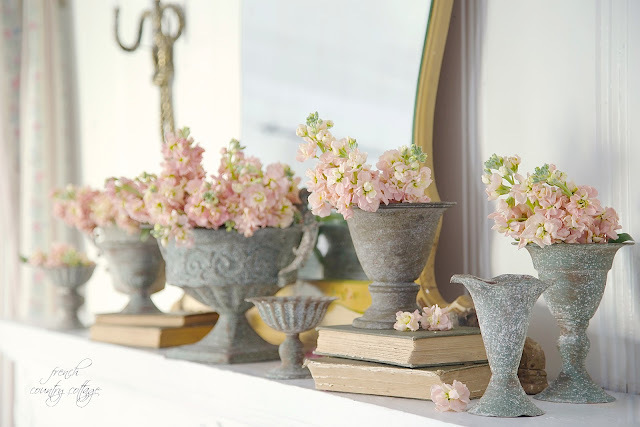 They are so easy to use in so many ways in design and add a huge amount of charm wherever you display them. it is easy to put together a display in just a few minutes. Some of my favorite ways to use them is to group several together. 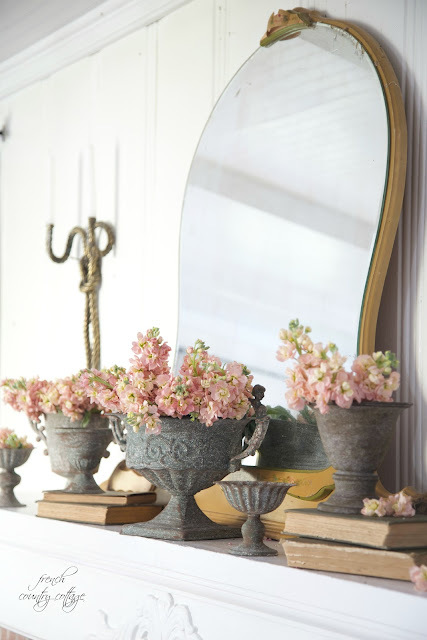 make a charming addition to the fireplace mantel. Decor Steals sent me these gray vases and urns and asked me to style them in any way that I wanted to. Of course, my first thought was flowers and that 8’ long mantel. I kept it simple with one color for the flowers- apricot colored stock. 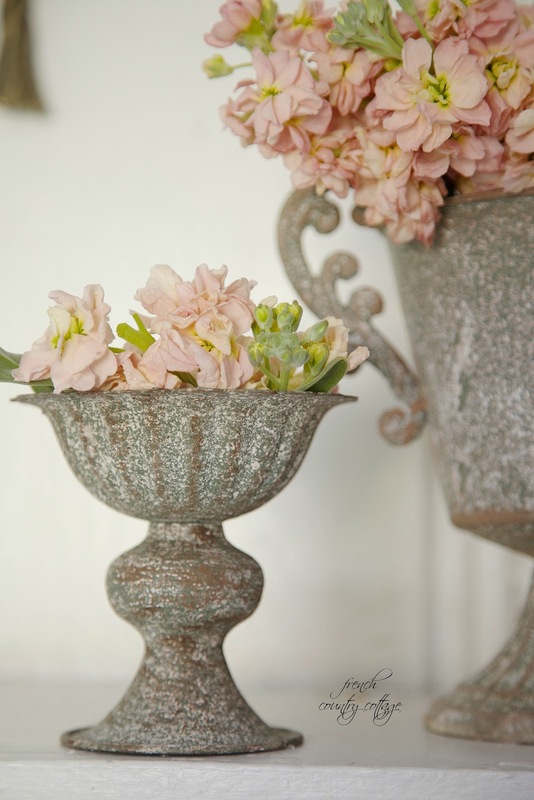 It is my favorite color of stock and I knew it would pair perfectly with that soft, shabby gray. and the fluted edging on some of them. To create the look-think simple. I left some empty to allow for breathing room in the design. or just want to spread the love around in several spots. I love the small ones filled with baby’s breath and a candle and the larger one with some of the leaves from the stock hanging over the edge just a bit. 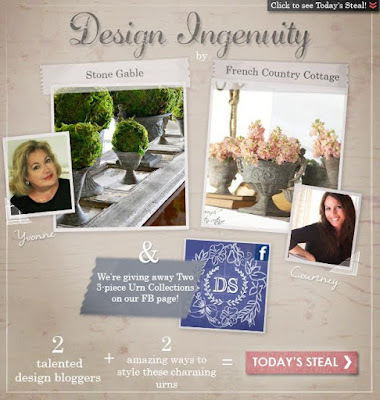 and you can find all of them over at Decor Steals today as their steal. that you can use before anyone else. 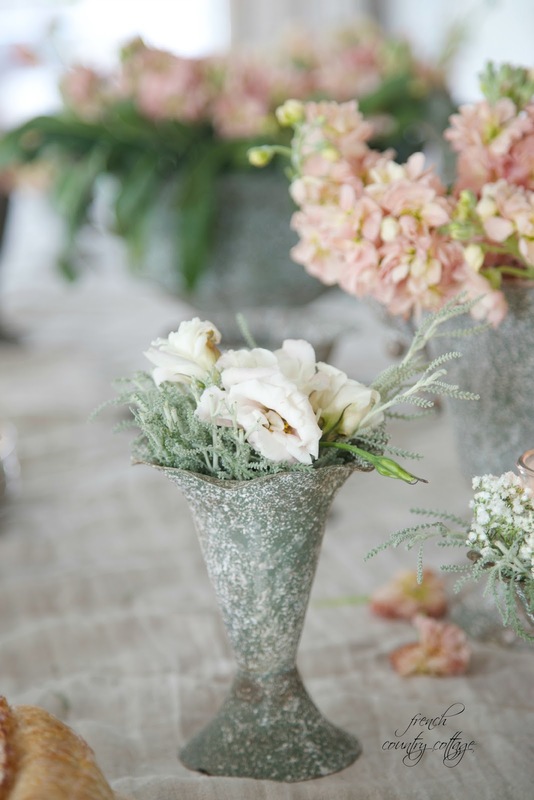 You can also see how my friend Yvonne styled these her way for another idea. 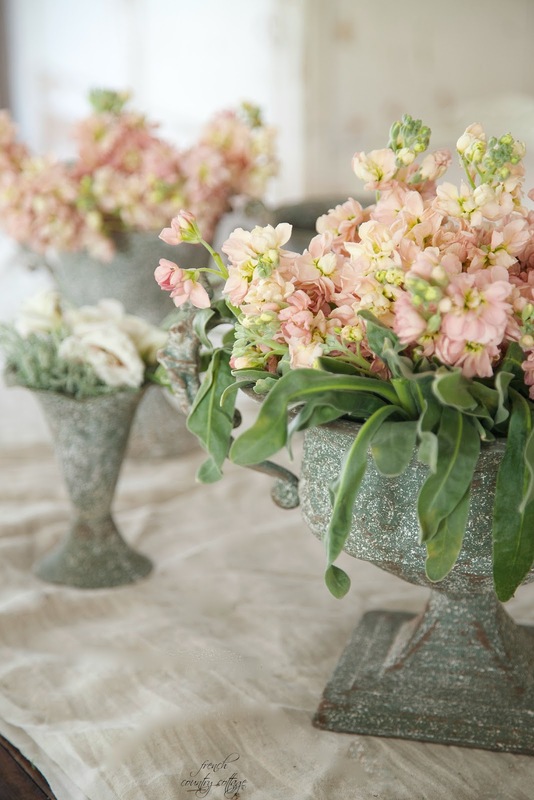 I love the mossy green she used- so fresh. 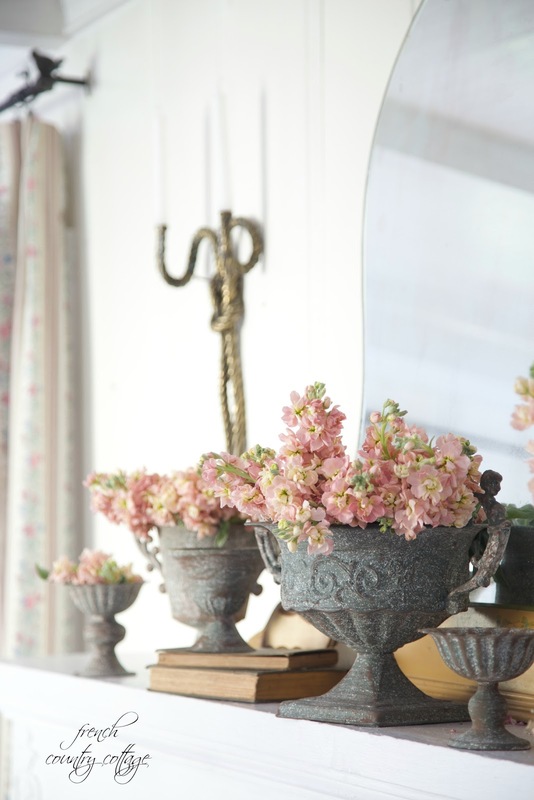 and remember Decor Steals offers only so many of each item in the sale. Once they are gone- they are gone-so shop early. Courtney, no one styles as elegantly as you! 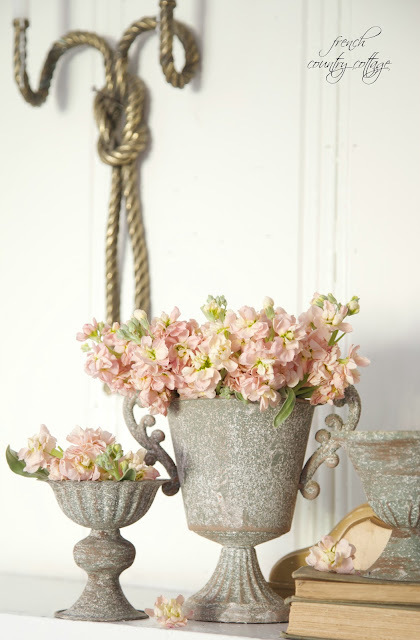 LOVE the apricot with the time-worn urns. Wonderful to work with you on this project! Oh so lovely, such beautiful inspiration and thank you for the tips and information as well. Thank you- and thanks for stopping by Jemma! Just beautiful! Love those grey vases! Beautiful, Courtney. I would not expect anything less! LOVE the apricot with the vintage finish of the trophies. Thanks so much Yvonne! Love your styling as well! Tomorrow is market day here...think I may treat myself to some flocks...love this post!! 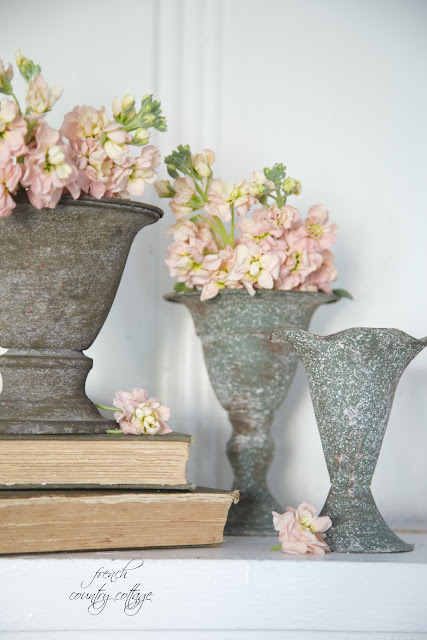 Love your ideas with the urns too. I absolutely love this look Courtney! 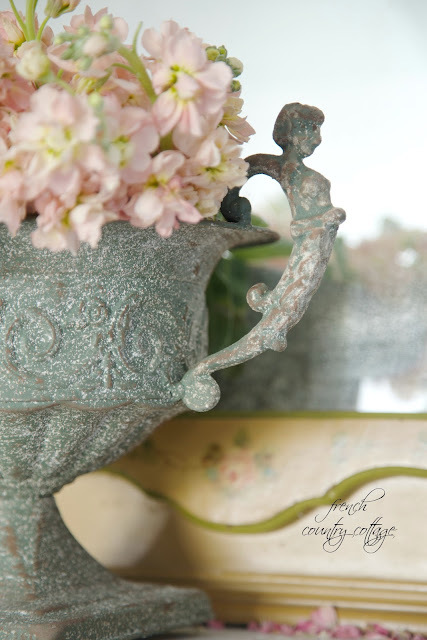 I have a boating trophy that is one of my favorite things and is always part of my decor. And oh how I love Decor Steals. They always have something that's way too cool for words! And you're right... their stuff goes FAST! Hope you're having a wonderful summer. Stop by if you have time to see our posts on Paris! We'd love to see you! I love your sophisticated and elegant style. 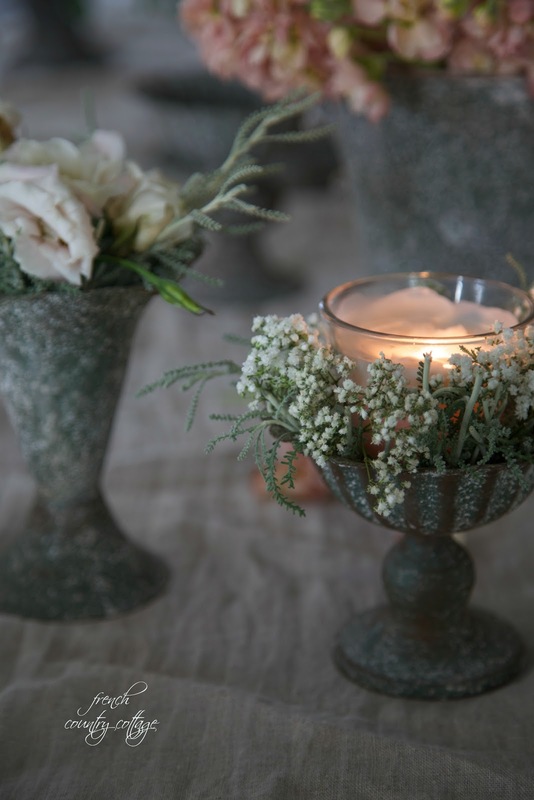 Your urn designs are beautiful! I love the way you styled the urns!